The 2015 Jeep Wrangler is the ultimate performance vehicle, having been designed and produced with the importance of rock-crawling capability being at the forefront. The Wrangler is a two-door vehicle with seating for four, and it is the standout among its competition, including the Toyota 4Runner and Nissan Xterra. Features for the Wrangler include additional entertainment options, with an eight-speaker stereo that is now standard, and an optional updated Alpine premium stereo with a subwoofer. A Torx toolkit is also now standard. The Jeep Wrangler comes equipped with an award-winning 3.6-liter Pentastar V-6 engine which is standard, and can be complimented by either a six-speed manual or five-speed automatic transmission. The Wrangler boasts four-wheel drive capability, with underbody skid plates, a solid front and rear axles, as well as available features to increase capability. Those features include an electronically disconnecting front stabilizer bar, dual locking differentials and a towing package with trailer-sway control. The Wrangler places emphasis on its continued ability to perform in any condition, especially flourishing in extreme off-road environments. The Wrangler offers a ton of amenities for the 2015 year, building upon the previous year's offerings that customers know and love. 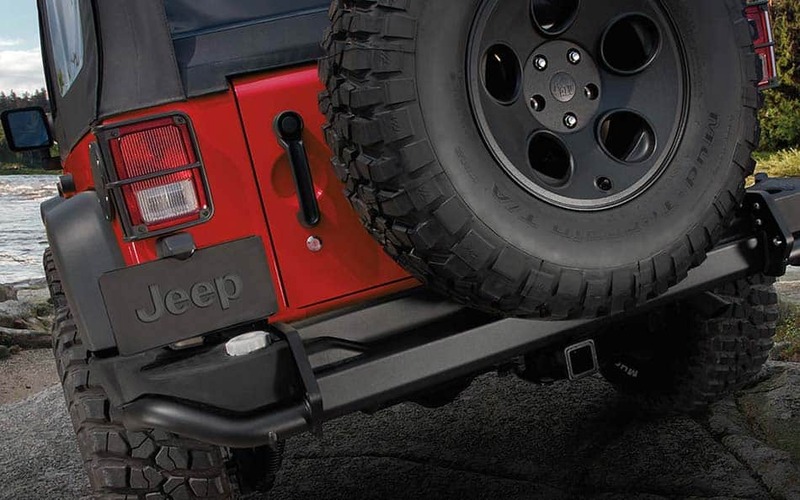 A Torx toolkit is a now standard feature for 2015, and the tools make it easier to remove your Wrangler's roof, doors, and bumper end caps. 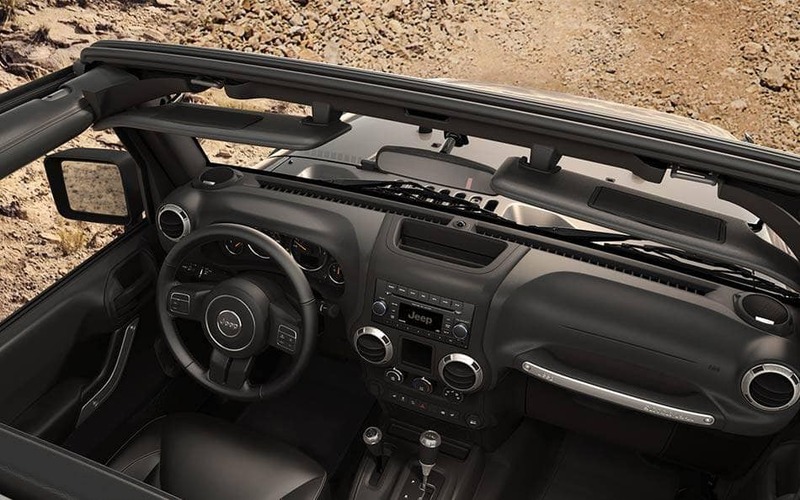 The windshield of the Jeep can be fold-down, and the available hardtop offers removable overhead sections. The Wrangler comes equipped with standard 16-inch steel wheels, yet 17- or 18-inch aluminum wheels are an option. Also standard is a rear swing-gate which features a wheel mounted, fullsize spare tire. On the inside, your Wrangler can be equipped with optional leather upholstery, heated front seats, air conditioning, a navigation system, and household power outlet. With the premium Alpine stereo, and CD stereo with MP3 jack, the Wrangler will keep you entertained and riding in style. The Wrangler comes equipped with an electronic stability system, front airbags, antilock brakes and hill start assist. Front-seat side-impact airbags are also available. Have a question about the most capable, off-road vehicle on the market? Give us a call, or fill out the form below, and we would love to discuss the 2015 Jeep Wrangler with you!